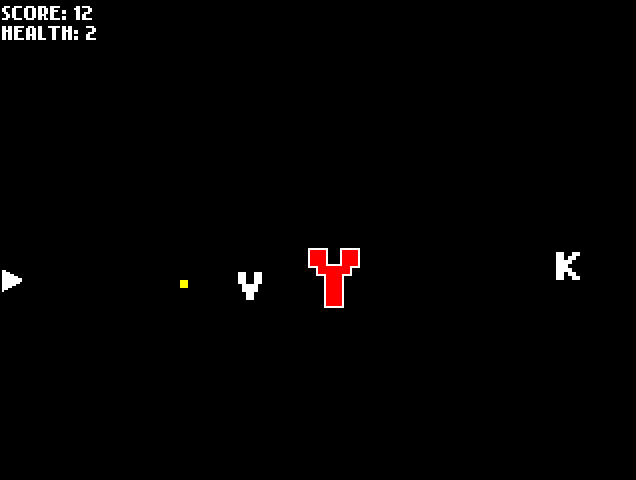 Two games with awful graphics and even worse names! 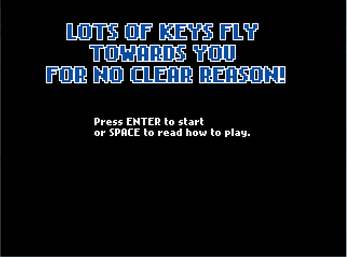 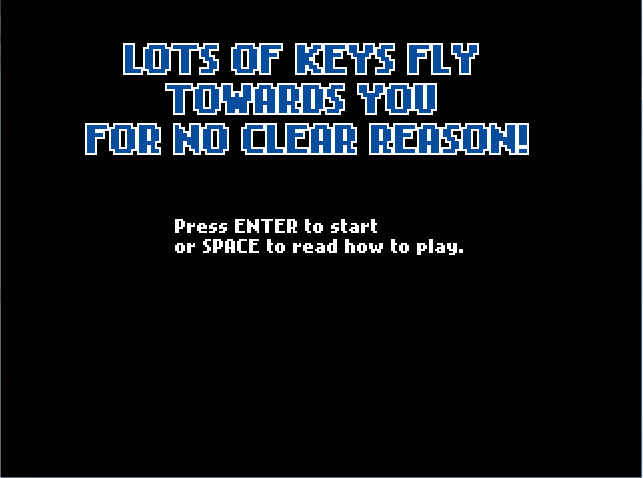 "Keys fly at you for no clear reason": Push the keys to destroy the evil letters that move towards you for some obscure reason! 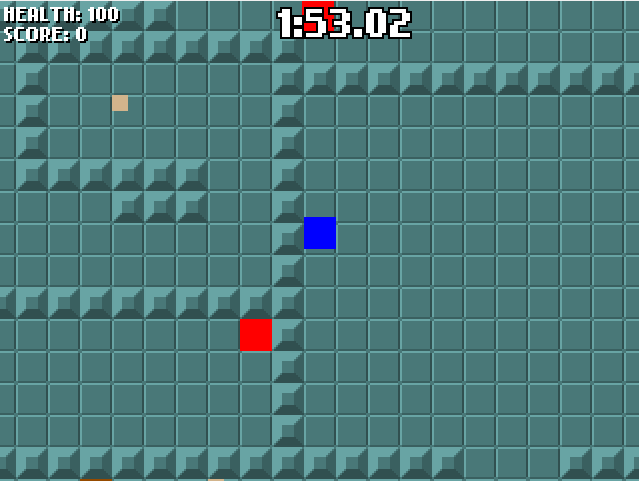 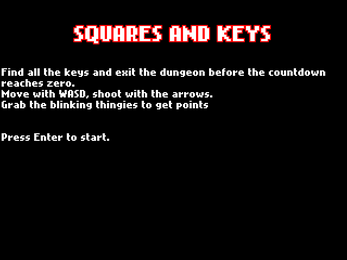 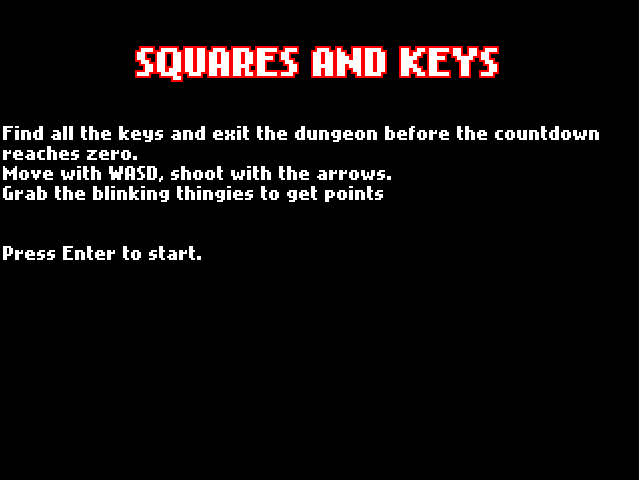 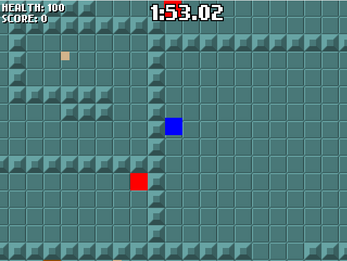 "Squares and Keys": Move in a dungeon and try to find all the tiny squares that are supposed to be keys that you need to exit before the countdown reaches zero and everything goes kaputt!